Pret a Manger have gone all ‘Semi Skimmed’! Three months of blogging every day and I have not yet had a nutritional rant…amazing. I am not going to bore you with all the research about the benefits of not stripping the fat from good milk, or for that matter the benefits of eating unpasturised (ask the French) real organic whole milk. All I am going to bore you with now is how many London coffee chains you can NOT get organic whole milk in your cappuccino or breakfast bowl of granola. Pret a Manger used to be one of only two cafe chains I knew of, the other being AMT you were reliant on common sense and good taste, as they did organic whole milk and skimmed (for the wimps who believed the hype ). 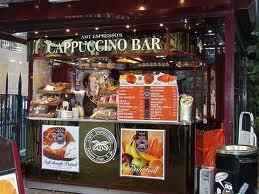 Every Italian knows if you want a really good cappuccino, it has to be made with whole milk. In real terms, in a third of a pint of cappuccino it is an extra 38 calories if you have full fat, not semi skimmed…shock… horreur! I know that Pret realise the health benefits of whole milk or they would not have used it in their cafes for long. SO WHY THE CHANGE OF HEART? I am deeply disappointed. Whole milk is the healthy option, if you are going to drink milk at all. We have all been brainwashed. But then who do we believe? Milk is a very contentious topic, and I did spend many years thinking it was the spawn of the devil and not touching it at all. Having read ‘the untold story of milk’ by Ron Schmid, I feel I may have had a point. Milk has changed beyond all recognition since we created industrial accomodation, and connerbations of people who did not have the space for grazing animals. Suddenly instead of feeding cattle grass and letting them bask in the sun much of the time, many spend most of their lives inside, hooked up to machines, being fed grain, producing dirty milk that then has to be pasturised, thus killing most of the goodness. 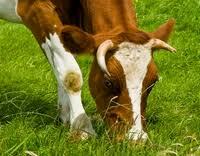 It also seems that there is much research that suggests that low fat milk is possibly increasing illness. Another contentious, but revealing book well worth reading is ‘Trick and Treat” by Barry Groves, that discusses how ‘healthy eating’ is making us all ill. He is calling into the question of taking the fat out of milk, and other food sources. It is quite possible that taking out the fat can make milk more dangerous for your health. One theory in ‘trick or treat’ is that the fat in milk is there for a purpose…don’t mess about with food. Many tests seem to suggest that women who consumed 4 or more servings of high fat dairy foods were half as likely to develop this and that, and that low fat dairy has none of the protective effects that dairy has if you leave the fat alone. Rumour has it the Royal family still only drink raw whole unpasturised milk…maybe why they all live to such a ripe old age. 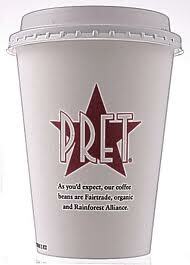 SO WHAT HAPPENED TO PRET? ‘We have been around for 25 years, we know what we are doing’ says Mr Schlee, the boss. Well here is one customer that is walking, as you have taken the thing I loved about Pret and thrown it out and you did not even ask. One of those songs I love to hate but enough is blinking enough today, and it has been raining all day on my first day off for 2 weeks. I think the lyrics of this song are the silliest I have ever heard…its raining, it’s pouring…. my love life is boring me to tears, after all these years………ha ha ha, and as for what you are supposed to do on the dance floor while the little lament is going on at the beginning of the song before it goes into the four on the floor I do not know. yeah bring back the real milk!